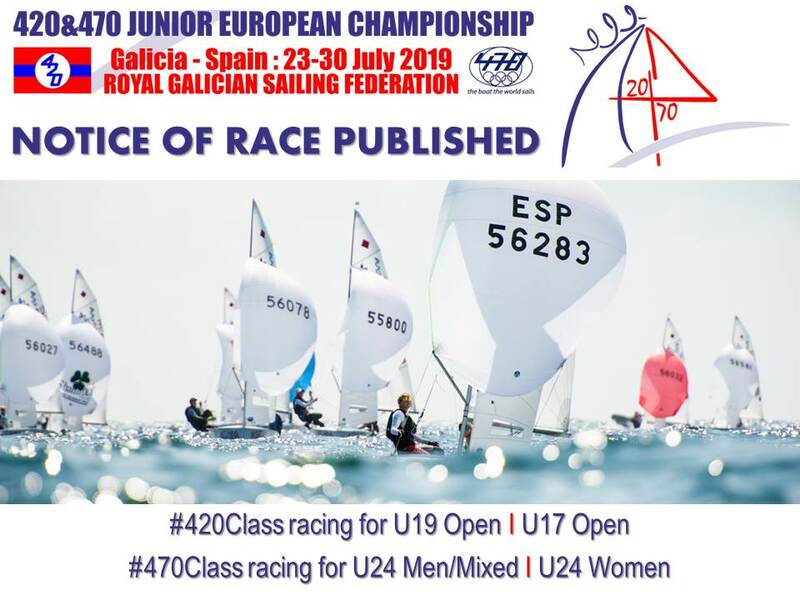 The Galician Sailing Federation will host the 2019 420 Junior European Championship from 23-30 July 2019 at its venue at Vilagarcia de Arousa in north-western Spain. The organizers have significant experience hosting major Championships, and the fully equipped Galician Sailing Centre offers all facilities required for the Junior Europeans, along with gym, meeting rooms, accommodation, drying rooms and restaurant options. Many accommodation options are available near to the venue, priced around EUR20-30 per night. Dfferent race areas are available depending on the weather, offering race tracks closer to shore and out on the ocean. Weather conditions during the Championship are expected to be 24-30 degrees temperature, with breeze likely to be 8-20 knots from the N/NE, or if from the S/SW 6-14 knots, and up to 20-25 knots in low pressure. The 2019 Junior European Championship website will be live soon. The venue for the combined 420/470 Junior European Championships is chosen in alternate years by each of the respective Class Associations, with the International 470 Class responsible to select the 2019 venue.